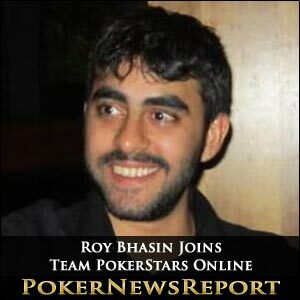 Roy ‘GodlikeRoy’ Bhasin has become the first Oceania-based Team PokerStars Online member after the Australian was revealed as the latest pro to be snapped up by the world’s leading poker room. Sydney’s Bhasin emerged as the player of choice after a selection process that saw an initial list of possible candidates cut down to 10 players – including the likes of Aussies Jay Kinkade, Tim English, Jesse McKenzie, Benn Skender, Jonathan Karamalikis and Matt Wakeman – from Australia and New Zealand, with the Pot-Limit Omaha specialist being considered the standout option as he “shined through to win himself the position”, according to a Team Online manager. Bhasin – who picked up $40,800 for finishing as runner-up in the $2,100 buy-in Pot-Limit Omaha tournament during the 2010 PokerStars Spring Championship of Online Poker (SCOOP) – has also enjoyed some live tournament success in Australia, but really doesn’t make many appearances at these events, preferring to make his living online. 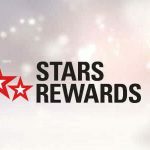 The new recruit – who is also a big fan of video gaming – was obviously delighted to receive sponsorship from PokerStars, telling the poker room’s blog that he feels “incredibly humbled and honoured to have been chosen to be a part of Team PokerStars Online”, while adding that “it has been a dream of mine for a while now, and to actually see it come true is an incredible feeling”. In fact, it was while enjoying a marathon session of first-person shooter Halo that Bhasin and some of his friends discovered poker. Deciding that it was time for a break in their gaming to scoff down some much-needed nourishment with a pizza, the youngster switched on his television to see a poker game in full flow. Inspired to discover more about this game, Bhasin quickly turned to online poker – and video games became a thing of the past, although his attraction to Pot-Limit Omaha is rare among younger players, with Texas Hold’em the variation of choice for the vast majority. 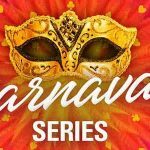 Pointedly, Bhasin – whose unusual nickname is a hangover from his days playing Unreal Tournament, another first-person shooter – reckons that PLO “is more fun, complex, interesting and challenging and that all poker players should learn to play it”. Well, he may well encourage others to follow his example after his signing by PokerStars. Not that he is prepared to rest on his laurels following his latest achievement or concentrate solely on PLO. Instead, Bhasin is determined to expand his knowledge of the game and is “always trying to adapt and am open-minded about all forms and types of poker”. If you want to read more about Bhasin, his poker life and much more, check out his blog at www.godlikeroy.com. 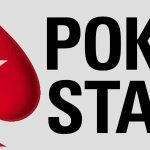 As an aside, many people thought that PokerStars had pretty well abandoned Australia as far as encouraging players to sign up to their site, but – following Bhasin’s recruitment – it appears the poker room is preparing to bring players Down Under some exciting promotions within the next few weeks. Of course, we at Poker News Report will keep all you Aussies updated when any announcement is made.